One hundred years ago, Europeans were engaged in the most brutal, inhuman struggle in history – one that saw millions of people killed and entire countrysides devastated. 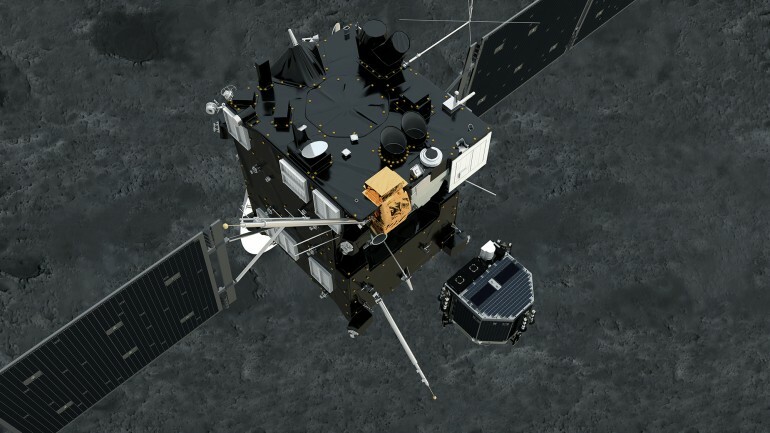 Today, Europeans stood together, hand in hand, to witness the momentous occasion of the Philae Lander setting down on the 67P/Churyumov-Gerasimenko comet. Not only was history made in this one act, it put a whole lot of history into perspective. And my good friends over at Universe Today have been covering this news in a very as-it-happens fashion. So have countless other news sources all over the planet, and for good reason. This is the first time human beings have ever landed a robotic rover on a comet’s surface. Due to the high-speed, transitory nature of these celestial bodies, we’ve been forced to sit back and watch up until now. In fact, comets have been around for billions of years and date back to a time when the Solar System was still in its early stages of formation. For human beings, the sight of a comet in the night sky was often seen as a bad omen. For example, the presence of Halley’s Comet in the Inner Solar System is still believed by many to be a bringer of doom. During it’s last appearance in 1986, it became the first comet be observed in detail by spacecraft. Nice to know that humanity has made some progress in the past century. Last month, the European Space Agency Rosetta’s space probe arrived at the comet known as 67P/Churyumov–Gerasimenko, thus becoming the first spacecraft to ever rendezvous with a comet. As it continues on its way to the Inner Solar System, Rosetta’s sensing instruments have been studying the surface in detail in advance of the attempted landing of it’s Philae probe. 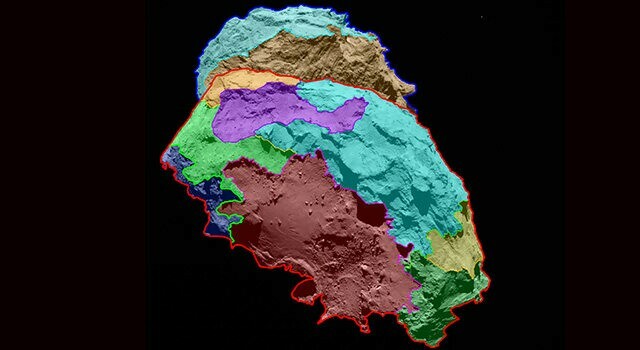 Because of this, Rosetta has been able to render a map of the various areas on the surface of the comet, showing that it is composed of several different regions created by a range of forces acting upon the object. Images of the comet’s surface were captured by OSIRIS, the scientific imaging system aboard the Rosetta spacecraft, and scientists analyzing them have divided the comet into several distinct regions, each characterized by different classes of features. All told, areas containing cliffs, trenches, impact craters, rocks, boulders and parallel grooves have been identified and mapped by the probe. Some of the areas that have been mapped appear to be caused by aspects of the activity occurring in and around the nucleus of the comet, such as where particles from below the surface are carried up by escaping gas and vapor and strewn around the surface in the surrounding area. Never before have we seen a cometary surface in such detail. It is a historic moment – we have an unprecedented resolution to map a comet… This first map is, of course, only the beginning of our work. At this point, nobody truly understands how the surface variations we are currently witnessing came to be. The newly-generated comet maps and images captured by the instruments on Rosetta will now provide a range of detail on which to finalize possible landing sites for the Philae probe to be launched to the surface . As such, the Rosetta team will meet in Toulouse, France, on September 13 and 14 to allocate primary and backup landing sites (from a list of sites previously selected) with much greater confidence. At the same time, Rosetta has revealed quite a bit about the outward appearance of the comet, and it aint pretty! 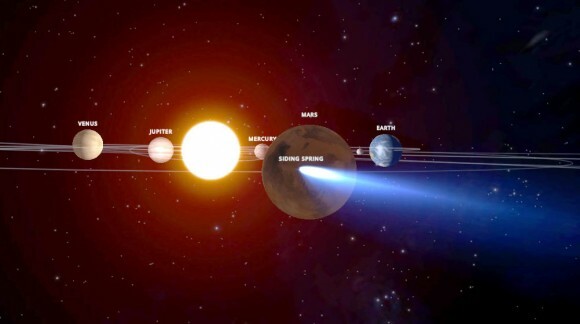 More often than not, comets are described as “dirty snowballs” to describe their peculiar composition of ice and dust. 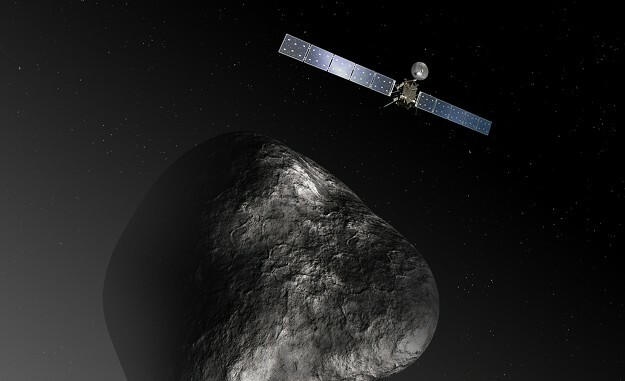 But Rosetta’s Alice instrument, which was installed by NASA, has sent back preliminary scientific data that shows that the comet is more akin to a lump of coal. Alice is one of eleven instruments carried aboard Rosetta and one of three instrument packages supplied by NASA for the unmanned orbiter. Essentially, it’s a miniature UV imaging spectrograph that looks for thermal markers in the far ultraviolet part of the spectrum in order to learn more about the comet’s composition and history. It does this by looking specifically for the markers associated with noble gases, such as helium, neon, argon, and krypton. 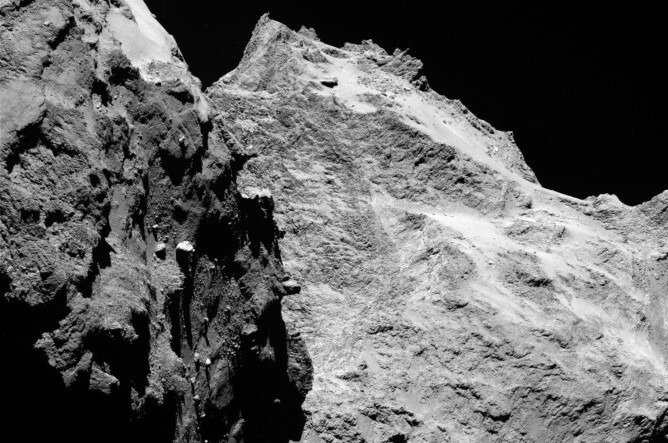 The upshot of all this high-tech imaging is the surprising discovery of what 67P/Churyumov-Gerasimenko looks like. According to NASA, the comet is darker than charcoal. And though Alice has detected oxygen and hydrogen in the comet’s coma, the patches of barren ice that NASA scientists had expected aren’t there. Apparently, this is because 67P/Churyumov-Gerasimenko is too far away from the warmth of the sun to turn the ice into water vapor. We’re a bit surprised at just how unreflective the comet’s surface is and how little evidence of exposed water-ice it shows. 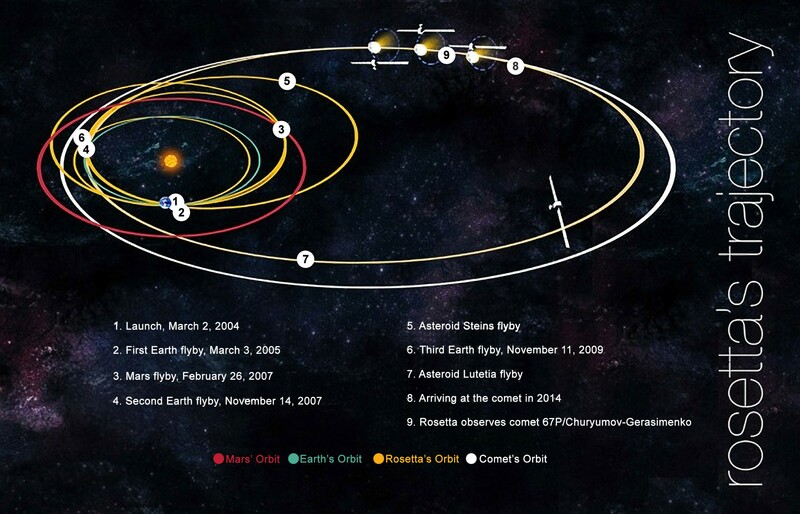 Launched in 2004, Rosetta reached 67P/Churyumov-Gerasimenko by a circuitous route involving three flybys of Earth, one of Mars, and a long detour out beyond Jupiter as it built up enough speed to catch up to the comet. 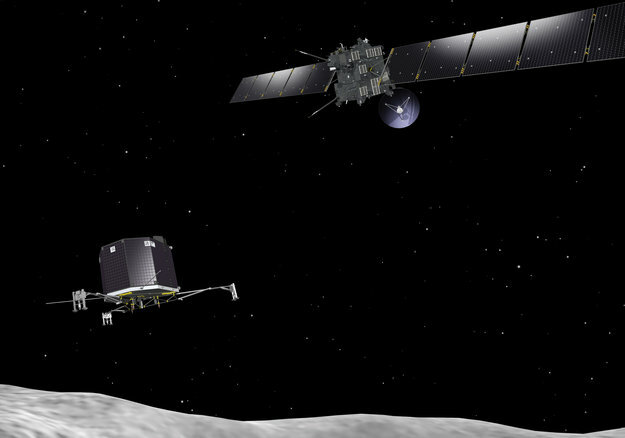 Over the coming months, as the Rosetta spacecraft and comet 67P move further into the solar system and approach the sun, the OSIRIS team and other instruments on the payload will continue to observe the comet’s surface for any changes. Hence why this mission is of such historic importance. Not only does it involve a spacecraft getting closer to a comet than at time in our history, it also presents a chance to examine what happens to a comet as it approaches our sun. And if indeed it does begin to melt and breakdown, we will get a chance to peer inside, which will be nothing less than a chance to look back in time, to a point when our Solar System was still forming. Buzz Aldrin: Let’s Go to Mars! This past weekend was the 45th anniversary of the Moon Landing. To mark that occasion, NASA mounted the @ReliveApollo11 twitter campaign, where it recreated every moment of the historic mission by broadcasting updates in “real-time”. In addition to commemorating the greatest moment in space exploration, and one of the greatest moments in history, it also served to draw attention to new efforts that are underway. Perhaps the greatest of these is one being led by Buzz Aldrin, a living-legend and an ambassador for current and future space missions. For decades now, Aldrin has been acting as a sort of elder statesman lobbying for the exploration of the cosmos. And most recently, he has come out in favor of a mission that is even grander and bolder than the one that saw him set foot on the Moon: putting people on Mars. 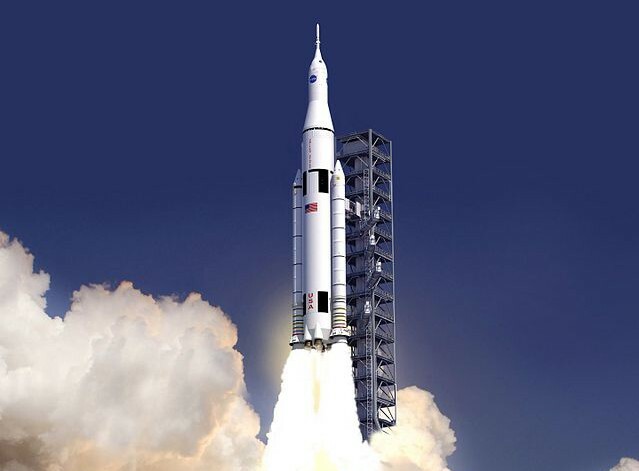 It’s no secret that NASA has a manned mission planned for 2030. 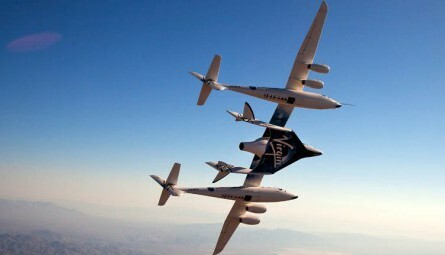 But with space exploration once again garnering the spotlight – thanks in no small part to commercial space companies like SpaceX and Virgin Galactic – Aldrin is pushing for something even more ambitious. 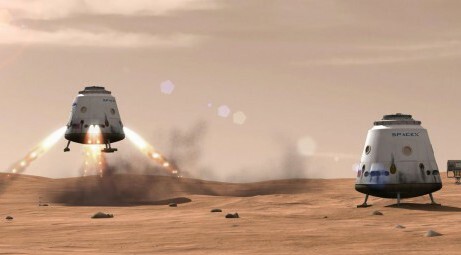 Echoing ideas like Mars One, his plan calls for the colonization of Mars by astronauts who would never return to Earth. To be sure, the spry 84 year-old has been rather busy in the past few years. 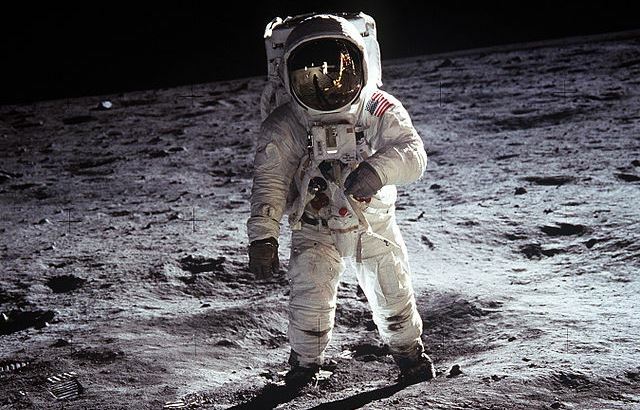 After going through a very public divorce with his wife 0f 23 years in January of last year, he spent the past few months conducting a publicity blitz on behalf of the 45th anniversary of Apollo 11. In between all that, he has also made several appearances and done interviews in which he stressed the importance of the Martian colonization project. A few months ago, Aldrin wrote an op-ed piece for Fast Company about innovation and the need for cooperation to make a new generation of space exploration a reality. During a more recent interview, which took place amidst the ongoing crisis in the Ukraine, he once again stressed the importance of cooperation between the United States, Russia, China, and their respective space programs. I think that any historical migration of human beings to establish a permanent presence on another planet requires cooperation from the world together. That can’t be done by America competing with China… Just getting our people back up there is really expensive! We don’t compete but we can do other things close by with robots, which have improved tremendously over the past 45 years (since Apollo 11). You and I haven’t improved all that much, but robots have. We can work together with other nations in design, construction, and making habitats on both the near side and far side of Mars. Then when we eventually have designs, we’ll have the capacity to actually build them. Similarly, Aldrin took part in live Google Hangout with Space.com’s managing editor Tariq Malik and executive producer Dave Brody. This took place just eight days before the 25th anniversary of the Landing. During the broadcast, he discussed his experiences as an astronaut, the future of lunar exploration, future missions to Mars and beyond, and even took questions via chatwindow on Google+’s webpage. At this juncture, its not clear how a colonization mission to Mars would be mounted. 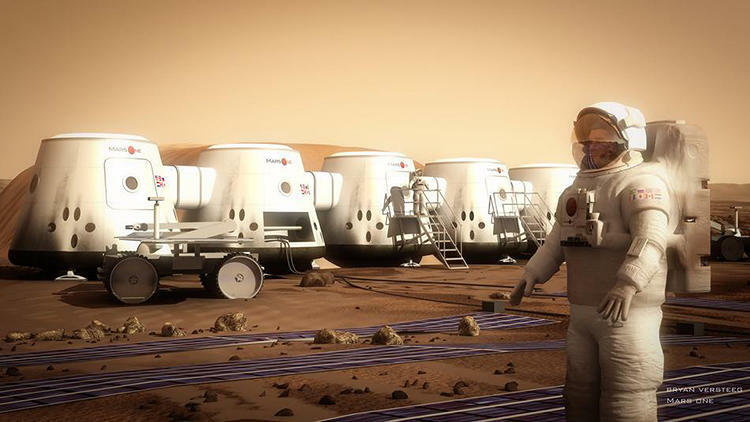 While Mars One is certainly interested in the concept, they (much like Inspiration Mars) do not have the necessary funding or all the technical know-how to make things a reality just yet. A possible solution to this could be a partnership program between NASA, the ESA, China, Russia, and other space agencies. With that in mind, I think we should all issue a prayer for international peace and cooperation! And in the meantime, be sure to check out the video of the Google Hangout below. And if you’re interested in reading up on Aldrin’s ideas for a mission to Mars, check out his book, Mission to Mars: My Vision for Space Exploration, which is was published by National Geographic and is available at Amazon or through his website. 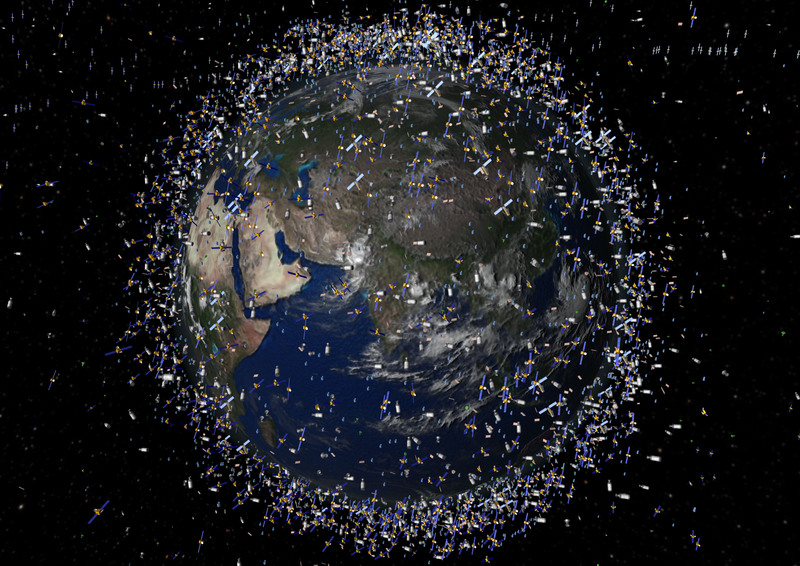 It’s no secret that the orbital space lanes are clogged with debris. 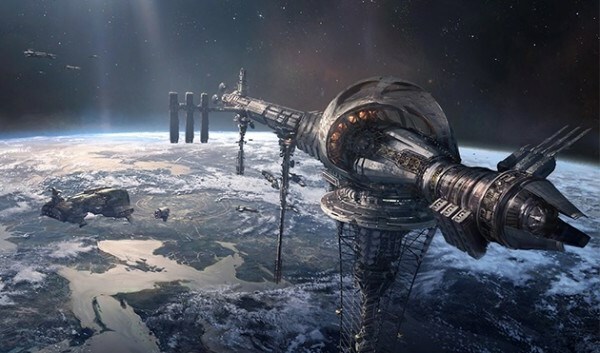 In fact, our upper atmosphere is so clogged with the remains of dead satellites, old rockets, and assorted space garbage, that initiatives are being planned to remedy the situation. 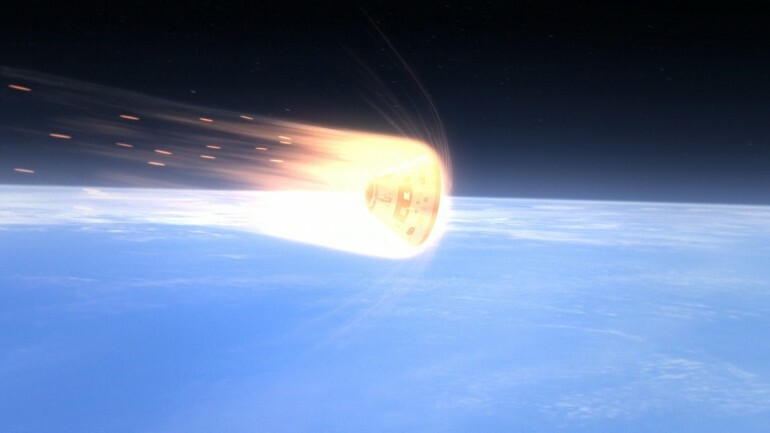 The ESA, for example, has the Clean Space Initiative; and the e.DeOrbit mission that aims to send debris-hunting satellites into orbit to clean up the mess. The aim of this mission is to clean up the important polar orbits between altitudes of 800 to 1,000 km (500 to 625 mil) that face the prospect of becoming unusable due to the increasing buildup of space debris. As part of the plan, the ESA is also investigating the possibility of using space harpoons to capture large items, such as derelict satellites and the upper stages of rockets. This is just the latest in a series of possible plans to capture debris. In the past, the ESA has revealed that it was looking at capturing space debris in a net, securing it with clamping mechanisms, or grabbing hold of it using robotic arms. However, the latest possibility calls for using capturing debris with a tethered harpoon, which would pierce the debris with a high-energy impact before reeling it in. Such an approach would not be practical for smaller debris, but is aimed at reeling in uncontrolled multitonne objects that threaten to fragment when colliding with other objects. These sorts of collisions result in debris clouds that would steadily increase in density due to the Kessler syndrome – a scenario in which the density of orbital debris is high enough that collisions generates more debris, increasing the likelihood of further collisions. The ESA says the space harpoon concept has already undergone initial investigations by Airbus Defense and Space in Stevenage – two aerospace developers based in the UK. The preliminary design incorporates a penetrating tip, a crushable cartridge to help embed it in the target satellite structure, and barbs to keep it sticking in so the satellite can then be reeled in. The initial tests involved shooting a prototype harpoon into a satellite-like material to assess its penetration, the strength of the harpoon and tether as the target is reeled in, and the potential for the target to fragment, which would result in more debris that could threaten the e.DeOrbit satellite. 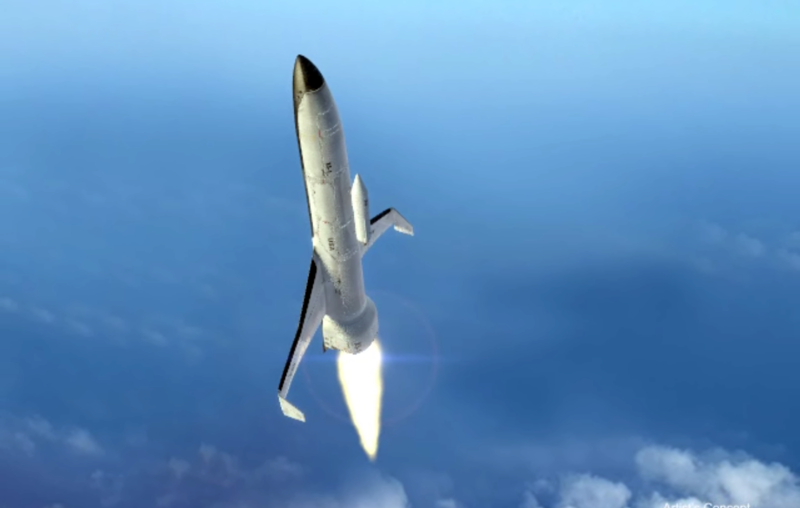 The ESA now plans to follow up these initial tests by building and testing a prototype version of the harpoon and its ejection system. The project will examine the harpoon impact, target piercing and the reeling in of objects using computer models and experiments, ultimately leading up to a full hardware demonstration. 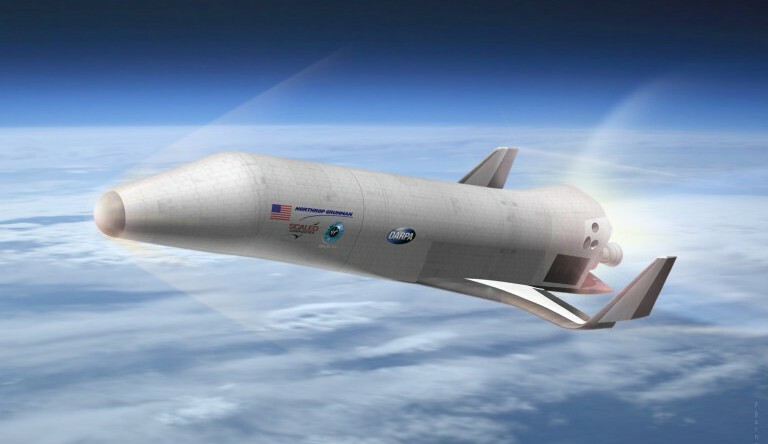 The space agency has put out the call for bidders to compete for the project contract, and hopes to be sending a working model into orbit by 2021 to conduct some much-needed housecleaning. Naturally, there are other proposals being considered for debris-hunting. 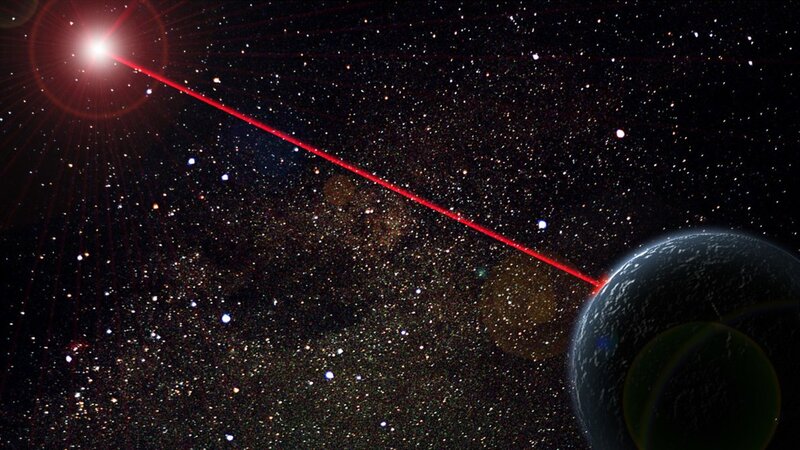 Between the ESA and NASA, there’s also the EPFL’s CleanSpace One debris hunter, and the Universities Space Research Association anti-collision laser concept. And while these remains still very much in the RandD phase, clearing the space lanes is likely to become a central issue once regular missions are mounted to Mars and the outer Solar System.